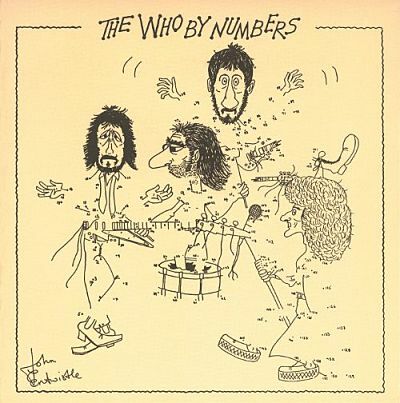 An overlooked gem in the ‘Oo canon, By Numbers (1975) dropped amid the singer-songwriter zeitgeist and the onset of punk. With Pete in a personal funk, Moon on the perpetual loon, and Daltrey disinterested, it was up to The Ox to bolster his mates – which he did with gobsmacking gusto and virtuoso performances on every cut by way of his signature hammer-on technique, chords, counter-melodies, and glissandos. His solo break in “Dreaming From the Waist Up” stands among Entwistle’s greatest performances on record. And John’s cover art, to me, is the best of any Who slab. Gear heads note that John used a Rickenbacker 4001 8-string on “Success Story,” and as far as I know, he also utilized an Alembic Series 1, and the Peter Cook “Lightning Bolt” bass on the other tracks.